Please make sure that your are following the correct driving directions for the tour or rental you have booked as we utilize more than one base camp location. 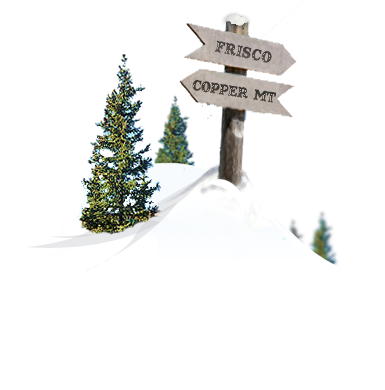 From Copper Mountain, follow Highway 91 N for 0.1 miles to the I-70 E entrance ramp. Follow I-70 E for 5.5 miles. Take Exit 201 towards the town of Frisco. Turn right at the stop sign at the end of the exit ramp onto Frisco's Main St.
Travel 0.7 miles east on Main St to the intersection of 3rd and Main. 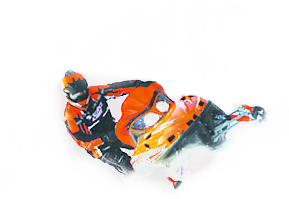 Summit Snowmobiles office is located at 220 Main St in the blue, one-story building on the corner of 3rd and Main. 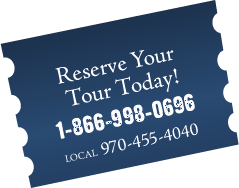 Their office and check-in location will be on your right. Exit 203's ramp will bring you to a traffic circle. Take the 4th exit off the circle for Highway 9 S.
Turn right onto Frisco's Main St at the stoplight marking the intersection of Highway 9 and Main St.
Travel 0.4 miles west down Main St to the intersection of 3rd & Main. If traveling from Highway 9, their check-in location will be on your left.